Ladies’ Code (Korean: 레이디스 코드) is a South Korean girl group formed by Polaris Entertainment in 2013. The group’s original lineup consisted of leader Ashley and members RiSe, EunB, Sojung, and Zuny. In 2012, Ladies’ Code started recording their debut album. On February 20, 2013, Sojung confirmed that she would join a new girl group being formed by Polaris Entertainment, and that they would debut in the following month. Promotion began on February 25, 2013, with the release of RiSe’s teaser video, followed by Sojung’s on the 26th, EunB’s on the 27th, for Zuny’s on the 28th, and March 1st for leader Ashley, respectively. On March 4, 2013, they released the group teaser for their music video. The group’s debut mini-album Code#01 with the title song “Bad Girl” and accompanying music video was released on March 7, 2013. The day after their debut, their song charted well on the real-time music charts including Bugs, Soribada, Mnet and Daum, and eventually peaked at number 34 on the Gaon Digital Chart. They had their first live performance on M! Countdown the day of the release, with the group concluding promotions on Inkigayo on April 21, 2013. On September 3, 2014 at around 1:30AM (KST), the group was involved in a serious car accident while returning to Seoul after attending the recording of KBS’s Open Concert at DGIST (and thus completing promotions for “Kiss Kiss”). The group’s manager, Mr. Park, was driving the van and had been speeding, driving 137 km/h (85 mph) in a 100 km/h (62 mph) zone for a distance of 30 km (19 mi). Rainy conditions made the road slippery, which caused Park to suddenly lose control of the vehicle, causing the group’s van to hydroplane and skid several times before crashing into a protective wall in the vicinity of the Singal Junction on Yeongdong Expressway. By the time the paramedics reached Sungbin Medical Center, EunB was declared dead on arrival while the remaining six passengers were rushed to various hospitals. Sojung and RiSe, who suffered the most serious injuries, were taken to the Catholic University of Korea St. Vincent’s Hospital in Suwon, listed as being in critical condition. RiSe’s condition quickly deteriorated and she was moved to Ajou University Hospital, where she eventually died four days later on September 7, 2014, at 10:10AM (KST). Sojung’s condition stabilized. Ashley, Zuny, Park, and one stylist also sustained minor injuries. On October 29, Ashley and Zuny were released from the hospital and spent time recovering at their respective homes, while Sojung was moved to a hospital in her hometown of Wonju. They returned to their group’s dorm in Seoul on November 12, with Sojung continuing to receive outpatient treatment. The investigation conducted by the National Institute of Scientific Investigation (NISI), revealed and confirmed that the cause of the accident was driving over the posted speed limit and the van’s back tire coming off due to the impact of crashing into the protective wall. It had been reported that none of the van’s airbags deployed at the time of impact, while witness accounts state that the vehicle rolled over multiple times after it hit the protective wall. An ambulance worker who was at the scene later reported that he did “not recall undoing any seat belts” as he attempted to help the injured passengers. – She was born in Incheon, South Korea, but she later lived in New York, USA. – Ashley has a younger brother. – Her nickname is Global Code. – She speaks English, Korean, Spanish, and Japanese. – Before joining Ladies’ Code, she used to post dance covers to K-pop songs on YouTube under the username ashleych0i. – Ashley was a former trainee at Cube Entertainment. – After the car accident (from September 3, 2014) Ashley sustained minor injuries. – On October 29, 2014, Ashley was released from the hospital and spent time recovering at her home. – The group made a comeback in 2016 with the album Myst3ry. – Ashley is friends with BM from K.A.R.D, former Blady member Tina, Coco from CocoSori, Jackson of GOT7, CLC members, and Kim Chungha. – Her nickname is Funky Code. – She was a contestant for the first season of “The Voice of Korea”. 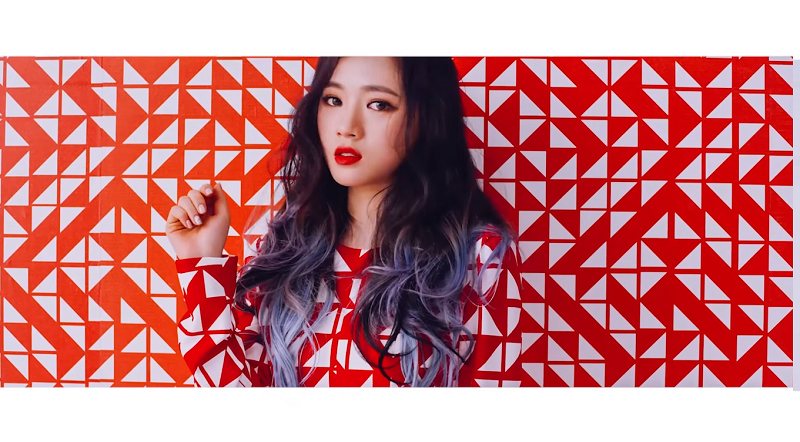 – After the car accident on September 3, 2014, Sojung suffered serious injuries and was moved to a hospital in her hometown of Wonju, in order to recover. – In 2016, Sojung participated in JTBC’s “Girl’s Spirit”. – Sojung had a stage collaboration with Mamamoo’s Hwasa. – Sojung is friends with Fiestar’s Hyemi and Stellar’s Hyoeun. Get Closer to Kim Jaejoong (JYJ): Profile, Tattoos, Plastic Surgery, Dramas, etc.